One of the Legislature's less consequential duties came before a House committee Tuesday: designating state capitals and symbols, from the Steak Capital of Texas (Hico) to the official State Pollinator of Texas (the western honeybee). What with reforming pre-kindergarten education, fixing highways, cutting taxes and loosening state gun laws, among other things, Texas lawmakers have some heavy lifting ahead of them. The light lifting, like naming an official Butterfly Capital of Texas, falls to the House Culture, Recreation and Tourism Committee, which Tuesday considered bills to formally designate several new state capitals and symbols. Jasper wants to be the official Butterfly Capital of Texas; Hico covets the nod for official Steak Capital; and Jim Hogg County wants to be known as the Vaquero Capital. The Texas State Library and Archives Commission maintains a list of official state capital designations — approved by the Legislature over the years — from the Dinosaur Capital (Glen Rose) to the Balloon Race Capital (Gregg County) to the Seedless Watermelon Capital (Knox City). Hoping to add Hico to that list, state Rep. J.D. Sheffield, R-Gatesville, told the committee the city of 1,300, is home to the annual Texas Steak Cookoff, which draws about 7,000 people one Saturday every year. “We depend on tourism. It’s a very integral part of us surviving,” said Mike James, executive director of the Hico Economic Development Board. There was less buzz over state Rep. Elliott Naishtat’s proposal to name the western honeybee as the official State Pollinator of Texas. 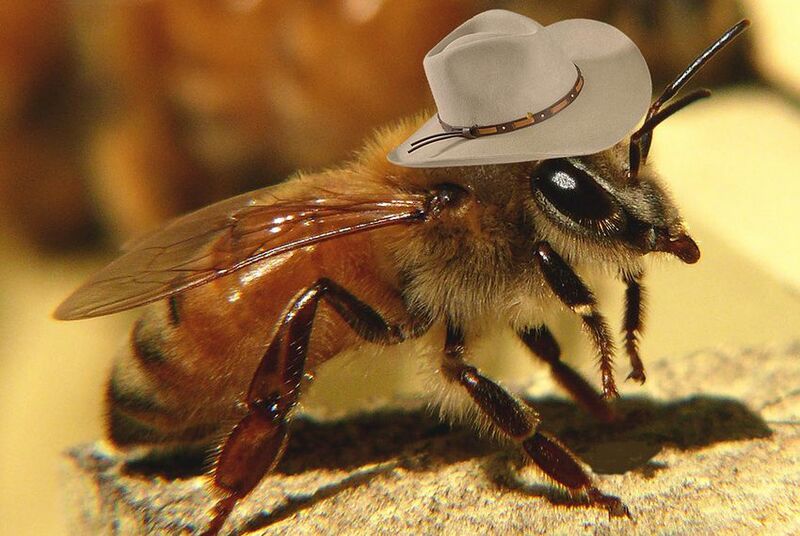 “In Texas, the honeybee is a natural pollinator of many of the state’s most recognizable food and fiber products, including melons, onions and cotton,” the Austin Democrat said. Two other proposals before the committee Tuesday would appear to state the obvious, making official two Texas icons already widely recognized — the cowboy hat as the official hat of Texas and “Lone Star State” as the official state nickname. Committee Chairman Ryan Guillen, D-Rio Grande City, said it was “incomprehensible” that the Lone Star State was not already the official nickname of Texas, noting that the name was recognized worldwide. The committee approved sending on to the full House designations for Hico as the Steak Capital and honeybees as the State Pollinator, but lost its quorum before reaching votes on the other suggestions.